As film studios desperately seek their next fantasy franchise, churning out possible successors to Harry Potter and The Hunger Games, Game of Thrones stands alone as one of the few fantasy series to have successfully been adapted for the small screen. While source material as rich as GoT&apos;s isn&apos;t easy to come by, there&apos;s one fantasy saga that would make an excellent prestige cable drama, and it is practically begging for a reboot. Philip Pullman&apos;s His Dark Materials trilogy, about two children, Will and Lyra, navigating parallel universes to defeat a mysterious enemy, was a critical darling, a miniature cultural phenomenon and a best-seller throughout the late &apos;90s and early &apos;00s. All the ingredients for success are there: a gripping plot, iconic characters and an innovative and fully realized fantasy universe. The first book in the trilogy, The Golden Compass, was adapted for the screen in 2007, but it wasn&apos;t done right. The feature film, starring Nicole Kidman and Daniel Craig, failed to live up to U.S. box office expectations, got lackluster reviews and was boycotted by Christian groups for its anti-religion views. The sequels, The Subtle Knife and The Amber Spyglass, never got made. The problem was not the message or the material, but the medium. Pullman agrees, and after seeing television&apos;s ability to tackle complex stories, Pullman seems swayed by the notion of giving it another shot. "I&apos;m quite tempted by the idea of doing it as a 24-part TV series like Game of Thrones," he said in a 2012 interview with Mother Jones. "It doesn&apos;t need the scale of the movie screen, it needs the length of a TV series." 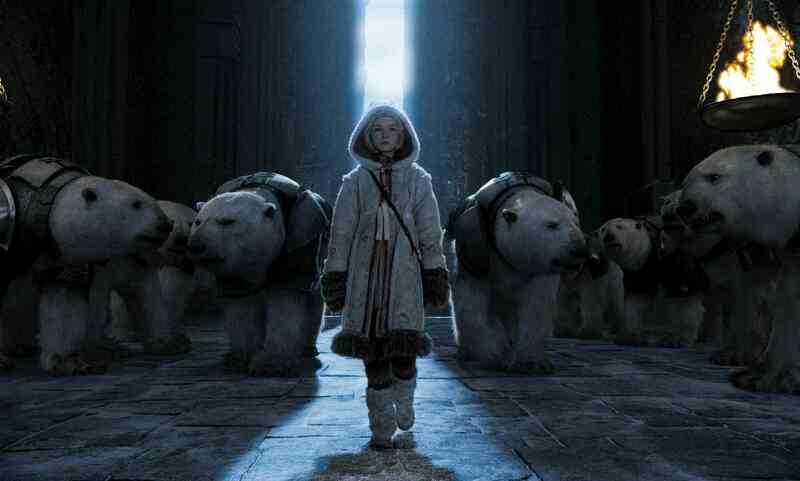 Here&apos;s why Pullman is right, and The Golden Compass would make the perfect successor to GoT. It&apos;s a world as captivating and complex as Westeros: Pullman&apos;s trilogy, set in a series of overlapping universes — some fantastical, some resembling our own — is a tour de force of world building. It includes traces of science fiction, with ideas culled from cosmology, theology and particle physics, alongside fantastical elements such as witches and armored polar bears. Much like GoT, it anchors these otherworldly elements in a set of strong, diverse human characters, from a Texan hot-air-balloon pilot to a Gypsy lord, as well as two of the most dastardly and complex villains to ever appear in young adult literature. Taken together, these elements form a landscape easily as immersive and engrossing as Westeros or Middle Earth. Another fascinating feature of Pullman&apos;s world — and one of the most beloved elements of the books — is that every character in Lyra&apos;s universe has a dæmon, an animal alter ego that reflects their personality, kind of like a living, breathing Patronus. Just imagine if every time a new character on your favorite show was introduced, a corresponding adorable animal was also introduced. People went nuts for Ser Pounce on Game of Thrones and he was only in one episode. It has a serious crossover YA audience: His Dark Materials was a legitimate crossover hit — like Harry Potter, it was one of those series that had special covers so adults wouldn&apos;t be embarrassed reading it on the subway — and a TV adaptation has the potential to land in that sweet spot where the Game of Thrones and The Hunger Games audiences converge. In Lyra Belacqua, the series has a plucky heroine to rival Katniss: a headstrong, unconventional young adult with a cool nickname (Silvertongue) and the fate of the free universe resting on her shoulders (obviously). In addition to being an epic fantasy quest and coming-of-age story, the books are also a great love story. Lyra&apos;s relationship with Will, the protagonist of book two, forms a series-spanning romance far more tragic and fraught than anything from Twilight. It&apos;s a controversy made for cable: Back in 2007, Christian groups boycotted the film for its perceived anti-religious message. They weren&apos;t exactly being paranoid: The books center on Will and Lyra&apos;s fight against a shadowy, authoritarian organization called "the Magisterium," based on the Catholic Church, and their quest to destroy its ruling deity, "the Authority," based on, well, you know. After all the backlash, it seems New Line Cinema got spooked and opted not to continue with sequels. But on TV, the series wouldn&apos;t have the same problems. The themes the books grapple with are perfect for the morally knotty world of cable television, which has proven more comfortable marketing challenging topics than the multiplex. Back in 2007, director Chris Weitz blamed the film&apos;s shortcomings on New Line&apos;s desire to pander to religious audiences, saying, "They felt they couldn&apos;t deal with having a film that was going to cause religious controversy." It&apos;s hard to imagine risk-taking networks like Showtime or Netflix constraining show runners in a similar way. A smaller screen has a wider scope: In addition to being watered down, the film was notoriously mishandled, cutting swaths of key material and forsaking the human element in lieu of overblown CGI action sequences (the movie&apos;s $180 million price tag also made the studo pretty risk averse). These are problems naturally remedied through some of the limitations of television, which would allow creators to balance the big action set pieces with character development and world building, like in GoT, and to tease out the show’s complexities without trying to squeeze them into two hours. "I would rather it was made in someone&apos;s shed with tin cans and bits of rope. I think it would be more involving — to be made for about 10 quid, rather than $200 million," Pullman has said. While we aren&apos;t suggesting sock puppets — and in a TV age that gave us the "Battles of Blackwater" and "Castle Black," there&apos;s really no need for that — there is something to be said for scaling back. In fact, it&apos;s been done before: Back in 2003, London&apos;s National Theatre put on a two-part stage adaptation of the trilogy that was widely heralded as a success, despite having nary a CGI polar bear in sight. It just shows: When the (dark) material is good enough, it doesn&apos;t require a feature film&apos;s bells and whistles. Are you listening, networks?